For relaxation you will find our Wellness Center on the top floor of the hotel where you can use the swimming pool, sauna and fitness. You do not need to bring towels, they are waiting for you at the Wellness Center. Use of swimwear is mandatory, even in the sauna. The wellness center is open daily from 6 a.m. to 11 p.m. Exclusively accessible for hotel guests. Cooled gym with views over the pool. This list is an indication, but offers no guarantee. Technical defects subject to change. You can completely relax in the sauna in the wellness center. 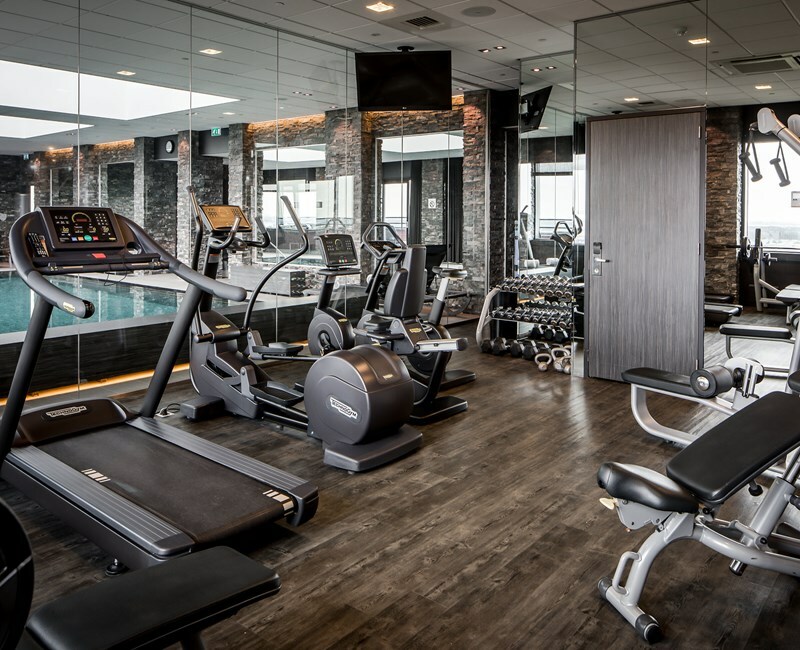 From the sauna you have a panoramic view of Dordrecht and the heated indoor pool.